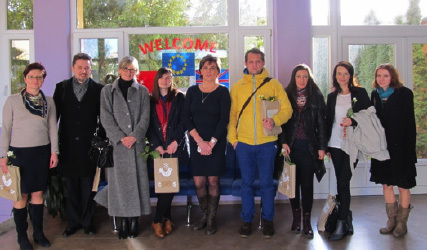 Funded by the European Union Erasmus + initiative Titan worked as part of the Talented Children project; aiming to upskill teachers in early identification of talented children and teach them to create individual and special educational plans for those children. Education and training systems should aim to ensure that all learners, including those from disadvantaged backgrounds, those with special needs, and migrants, complete their education. Schools and other education institutions must create an atmosphere of acceptance and recognition of gifted and talented children from all backgrounds. This includes knowledge and skills in the early identification of the talented child and support for both the child and their parents and family through the education process. Research conducted by Masaryk University, Czech Republic, found that talented children whose potential is not recognised are at risk of suffering from feelings of social exclusion and depression. The project aimed to include the development and implementation of innovative practices in the field of early identification of talented children. In order to achieve this, partners compared and contrasted the provision of gifted and talents identification and support in each partner country and used this to highlight key examples of best practice to share transnationally. Study visits for professionals in the UK, Czech Republic and Turkey to observe the gifted and talents provision in schools. The Talented Children Final Conference hosted on 16th June in Birmingham in order to share the findings of each country. A handbook for teacher on gifted and talented provision in each country. A recommendation paper for decision makers and strategists. For further information please contact us or visit our website.